Set of 7 notch-cavity, polished irons with oversized heads 5-6-7-8-9-PW-SW plus 1-3-5 Oversized Titanium Woods (driver is 460cc with 12 degree loft), 21 degree hybrid, heel and toe balanced putter for extra feel andFREE HEADCOVERS FOR THE WOODS 1-3-5 & HYBRID. Golf Girl deluxe cart bag has 7 way padded top, 3 full length dividers, 6 exterior zippered pockets, detachable valuables pocket, bottom assist handle, matching zippered rain/travel hood. 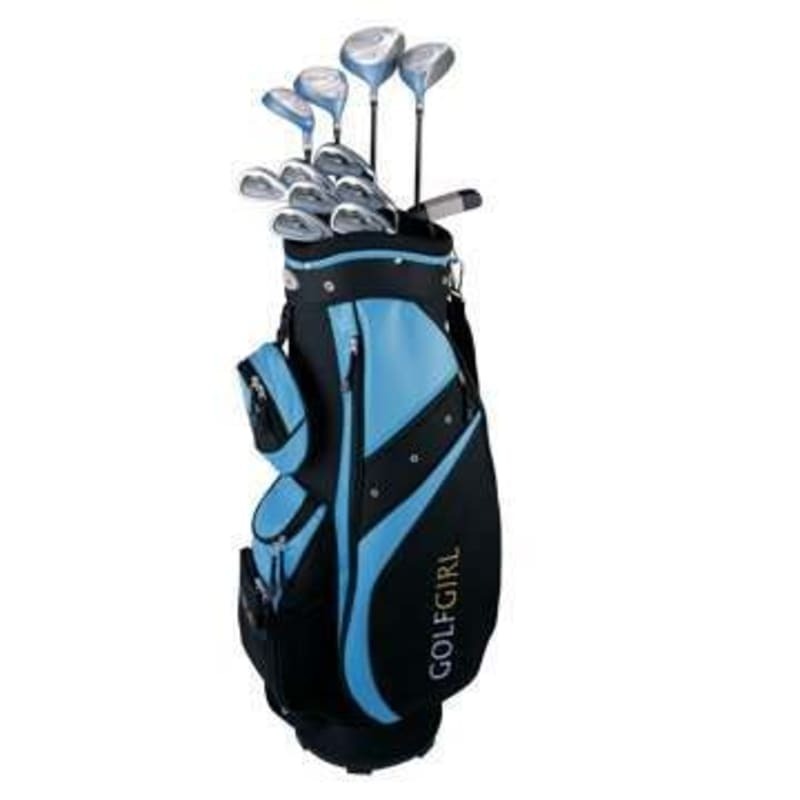 Bag will be Powder Blue colour will match clubs. Notch Cavity Back Design and extra wide sole in the irons give more distance and accuracy on off-centre shots. Woods & Irons have low torque Graphite Lady Flex Shafts. All clubs come with all-weather Grips.